Global Warfare and the Economic and Social Crisis are "Man Made"
The 2012 Mayan Prophecy has been readily distorted and misunderstood. 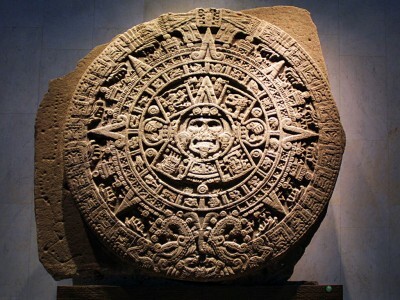 The End of the Mayan Calendar on December 21, 2012 has nothing to do with the “End of the World”. The End of the World concept is a falsehood and misinterpretation of Mayan thought. What is at stake is a renewal, the unfolding of a new era. 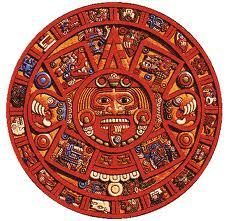 For the Mayans, December 21, 2012 marks the beginning of a new long cycle (Ibid). Meanwhile, “End of the World” stories and commentary are plastered on the news tabloids. While the Western media readily refutes the Mayan prophesy, the apocalypse narrative, when repeated ad nauseam, serves as a distraction and distortion. A Reuters-Ispos poll conducted last May confirms that 10% of the World’s population believe that: “The Mayan calendar, which some say ‘ends’ in 2012, marks the end of the world”. Ironically, in sharp contrast to the Mayan prophesy of “renewal, the real World we live in at the outset of the 21st Century is marked by a formidable economic and social crisis which is impoverishing millions of people, literally destroying people’s lives. In the figurative sense, we are in the midst of an unfolding “doomsday scenario” of a complex political, social and economic nature: it’s man made, it’s “Made in America”; it is the consequence of the fracture of the judicial system, the evolving Homeland Security apparatus, the fraudulent deregulation of financial markets, the mismanagement of the real economy. These fundamental shifts in America’s institutional and social fabric are coupled with a far-reaching global military agenda and a self-serving US foreign policy. The latter under the helm of Secretary Hillary Clinton points towards potential a breakdown of the channels of international diplomacy. War and the Economic Crisis are intimately related. While the global economy is in a state of chaos, marked by the collapse of productive systems, the US and its allies –including NATO and Israel– have embarked upon a military adventure, “a long war” under the disguise of a “global war on terrorism”. The Pentagon’s global military design is one of world conquest. The military deployment of US-NATO forces is occurring in several regions of the world simultaneously. Pentagon war games routinely focus on simulating World War III scenarios. This “End of the World” military agenda potentially threatens the future of humanity. While World public attention is riveted on the “Mayan apocalypse”, the “Real Crisis” which is affecting humanity is not an object of serious debate. The Pentagon’s “long war” combined with a murky scenario of global impoverishment and economic breakdown is not front page news. The corporate media plays a central role in providing legitimacy to a destructive military agenda. The US-NATO weapons arsenal and military deployment in all regions of the World are routinely portrayed as instruments of peace. America’s new generation of tactical nuclear weapons are said to be “harmless to the surrounding civilian population”. Pre-emptive nuclear war, which constitutes a de facto doomsday scenario, is portrayed as a “humanitarian undertaking”. Central to an understanding of war is the media campaign which grants it legitimacy in the eyes of public opinion. A good versus evil dichotomy prevails. The perpetrators of war are presented as the victims. According to the Western media, America and NATO’s “Atlantic area” were attacked by a “foreign power” [Afghanistan] on September 11, 2001: an a absurd proposition. NATO’s doctrine of collective security, based on the concept of “self defense” was invoked by the Atlantic Council on the morning of September 12, 2001 as a justification to bomb and invade Afghanistan, because Afghanistan had allegedly attacked America. Meanwhile, the media stands mum: no analysis, no debate. Public opinion is misled. Breaking the “big lie”, which upholds war as a humanitarian undertaking, means breaking the propaganda apparatus, which sustains a criminal project of global destruction. War propaganda not only sustains a profit-driven military agenda, it creates in the inner consciousness of millions of people the acceptance of war as a societal project. It literally stamps out and excludes from the human mindset fundamental human values of peace, compassion and social justice. It transforms people into unconscious zombies. The corporate media is involved in acts of camouflage. The devastating impacts of a nuclear war are either trivialized or not mentioned. 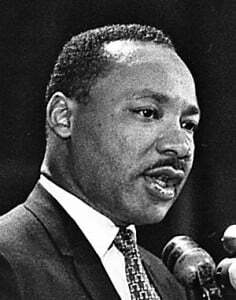 Against this backdrop, people across the land, nationally and internationally, should understand the gravity of the present situation and act forcefully at all levels of society to reverse the tide of war. The conduct of global warfare is accompanied by process of Worldwide macroeconomic restructuring. Throughout the World strong “economic medicine” is imposed. People are led to believe that austerity is the “solution” to crisis when it is in fact the “cause” of economic collapse. In the 1980s and 1990s, the IMF “Structural Adjustment Program” (SAP) was imposed on the Third World, Eastern Europe, the Balkans and the countries of the former Soviet block. In all these countries, the standard of living plummeted, State social programs were phased out or privatised. In North America and the European Union, the social crisis has been is marked by the weakening or outright disintegration of Medicare, Social Security and public education. The civilian economy is in crisis. Tax revenues are reallocated to building a formidable war economy at the expense of social services. Fiscal collapse is the inevitable outcome. State budgets are dictated by the creditor banks, which increasingly decide on the fate of millions of people. Across America, millions of households have lost their homes. Small businesses are driven into bankruptcy. What remains of social security and Medicare is slated to be scrapped. The only sectors of the US economy which are booming are the luxury goods sector geared to the “One Percent” and the state of the art weapons industry, largely composed of the defence conglomerates including Lockheed Martin, Raytheon, Northrop Grumman, British Aerospace et al. 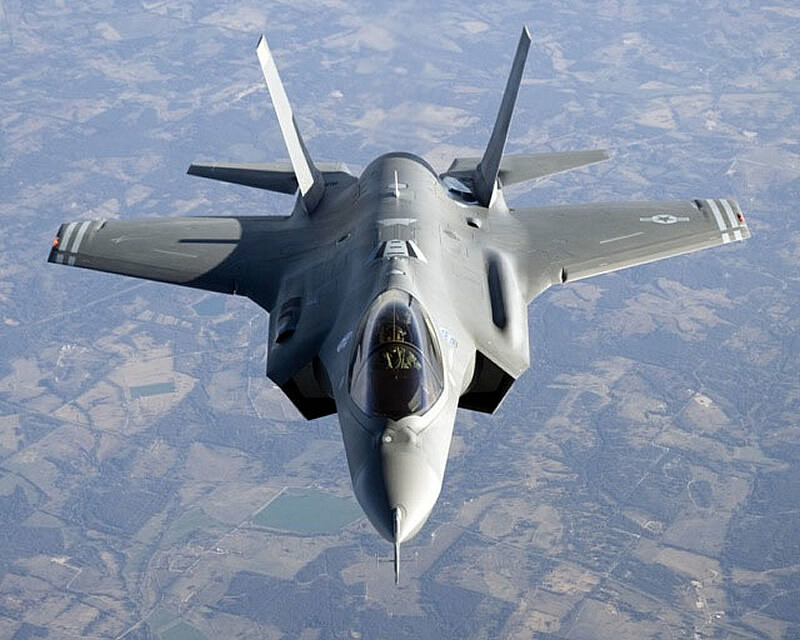 The war economy is booming, F35 fighter jets are to be sold at half a billion dollars a piece. Not included in this price is another 300 million dollars of related maintenance and upkeep of these state of of the art fighter jets. Canada and Norway be acquiring a large number of these planes at the expense of their social programs. “The overall cost of the program to the US military is estimated at a staggering $1.51 trillion over the so called life cycle of the program, namely $618 million per plane. (Shalal-Esa, Andrea. Government sees lifetime cost of F-35 fighter at $1.51 trillion., Chicago Tribune, April 2, 2012). War and globalization including the imposition of deadly austerity measures are intimately related. Global Warfare is good for business. It feeds billions of dollars into what Dwight D. Eisenhower call the “Military Industrial Complex”. The fanciful headlines regarding the upcoming Apocalypse serve to overshadow the grim realities of the US-NATO led wars. Several new weapons systems have been introduced in the course of the post Cold war era. The emphasis is on unconventional warfare. a new generation of nuclear weapons made in America, not to mention the use of depleted uranium ammunition which causes cancer. Meanwhile the Fukushima disaster is a nuclear war without a war, conducive to massive contamination and radiation, the consequences of which are still to be fully assessed. Who are the main actors behind the US led war? The media conglomerates which constitute the cornerstone of the US imperial propaganda. Active war preparations against Syria, Lebanon and Iran have been ongoing for the last eight years. Since 2005, the US and its allies, including America’s NATO partners and Israel, have been involved in the extensive deployment and stockpiling of advanced weapons systems. Public opinion, swayed by media hype is tacitly supportive, indifferent or ignorant as to the likely impacts of what is upheld as an ad hoc “punitive” operation directed against Iran’s nuclear facilities rather than an all out war. The war on Iran is presented to public opinion as an issue among others. It is not viewed as a threat to humanity, as a doomsday scenario. Quite the opposite: it is viewed as a humanitarian endeavor which contributes to enhancing an illusive concept of global security. The “End of the World” is an ongoing man made process. What we are witnessing in the 21st Century is the outright destruction of entire countries. The European Union –which had reached a high level of economic and social development– is now beset with mass unemployment and the dismantling of the post World War II Welfare State. The governments of sovereign countries are controlled by a shadow financial establishment. Almost one quarter of Europe’s young people are without work, with the highest youth jobless rate (52.1 percent) recorded in Greece and Spain. At the height of the great depression of the 21st century, economic chaos prevails, the possibility of financial breakdown can not be dismissed. Known and documented, the mega-banks which oversee the economic restructuring of the European and North American economies are routinely involved in money laundering and the drug trade. Pervasive links to organized crime have been established. The banks work hand in glove with the drug cartels. HSBC was sued for collaborating with the Mexican drug. This is not an isolated event. All major financial institutions are involved in the laundering of drug money. And lest we forget, the drug economy is part of a long history of international trade. The Hongkong and Shanghai Banking Corporation founded in 1865 in the British colony of Hong Kong was an offshoot of the British East India company (BEIC). Starting in the late 18th century, protected by the British Empire, the BEIC was involved in the lucrative opium trade. Produced in Bengal and then shipped to China, the revenues were used to finance Britain’s imperial expansion. When the Chinese imperial government ordered the opium to be destroyed in 1839, Britain declared war on China, initiating what was called the “first opium war”. Britain’s casus belli was that China –by destroying the opium– had violated the tenets of 19th Century “free trade”. The HSBV is no exception. Today, corporate capital continues to protect the drug trade and the most respected banking institutions annually launder billions of narco-dollars. It is worth noting that since 2001, Afghanistan’s war shattered economy supplies more than 90 percent of the World’s heroin. 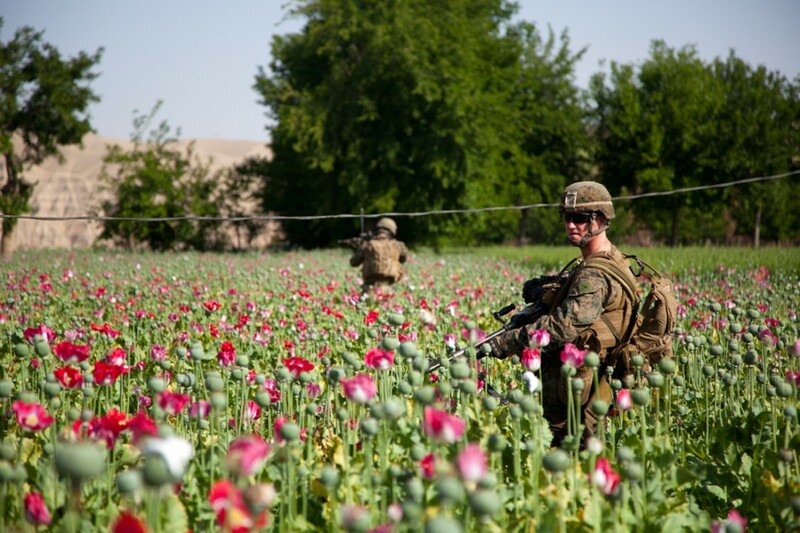 The highly lucrative drug trade out of Afghanistan is protected by the US-NATO occupation forces on behalf of powerful financial interests: a multibillion dollar bonanza for the banks and the criminal syndicates involved in the Golden Crescent drug trade. The resulting flow of narco-dollars is largely laundered in the Western banking system. America’s wars in the Middle East and Central Asia have largely been conducive to the destabilization and decline of an entire region, considered by historians to be the cradle of civilization. America’s unmanned drone attacks against civilians in Pakistan under the mandate of the “Global War on Terrorism” occur in the upper Indus Valley, another cradle of ancient civilization going back to the Bronze Age (Third Millennium BC) , which is currently being destroyed. The Indus Valley Civilization also known as the Harappan civilization, started in the third millennium BC (3300–1300 BC). Together with the Nile Valley and Mesopotamia, the Indus Valley was one of the first urban river civilizations. The recipients of these profit driven wars are the Anglo-American oil giants and the weapons conglomerates, the so-called “defence contractors” (Lockheed Martin, Raytheon, Northrop Grumman, British Aerospace, etc) which produce the humanitarian missiles and fighter planes for the US-NATO war machine. The latter includes a new generation of nuclear weapons. The technology and sophistication of this military hardware at the height of the electronic age have expanded beyond bounds. In a bitter irony, these “weapons of peace” are used to ensure that Iran and Syria do not use their alleged WMDs against the Western World. US led wars are geared towards in fomenting ethnic and factional divisions as well as supporting, through covert operations the formation of “Islamist” terrorist paramilitary organizations. These covert operations are essentially intended to destroy the nation state and install a puppet regime. Over the past 30 years, US intelligence in partnership with Britain’s MI6 and Israel’s Mossad, have supported the creation of Al Qaeda as well as a number of “Al Qaeda affiliated” organizations. These terrorist entities are “intelligence assets”, namely instruments of Western intelligence. Today, the jihadists freedom fighters are recruited by NATO. In Libya and in Syria, these Al Qaeda affiliated entities, supported and integrated by French and British special forces, act on behalf of the Western military alliance. They are NATO’s foot-soldiers. Monsanto offered its GM seeds to the farmers of India with hopes of reaping plentiful crops. Plain and mostly uneducated farmers thought Monsanto had come to provide a “magic” formula that would transform their lives. They had no idea what was coming. Monsanto’s seeds in India did not produce what the company had promised and farmers hoped. The expensive seeds piled up debts and destroyed farming fields. In many instances, the crops simply failed to materialize. The farmers were not aware that the GM seeds required more water than the traditional seeds. And lack of rain in many parts of India exacerbated the crop failure. With no harvest, the farmers could not pay back the lenders. Burdened with debts and humiliation, the farmers simply took their own lives, some by swallowing poisonous pesticides in front of their families. To date, an estimated 200,000 farmers have committed suicide all over India. This destructive pattern – invariably resulting in famine – is replicated throughout Sub-Saharan Africa. From the onslaught of the debt crisis of the early 1980s, the IMF-World Bank had set the stage for the demise of the peasant economy across the region . 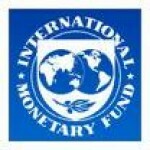 This process of planned impoverishment of the African continent under the helm of the IMF and the World Bank has been accompanied by an ongoing process of US led militarization under the mandate of the “Global War on Terrorism. In the course of the last 30 years, civil wars triggered through covert intelligence ops have been launched. Powerful corporate interests are behind these wars. Control over resources, oil, natural gas, precious and strategic metals is the not so hidden agenda. In South Sudan, oil was discovered in 1978. Five years later a US sponsored “civil war” supported by the CIA was launched, led by John Garang, who was trained by the US military at Fort Benning, Georgia. The Sudan war resulted in 2 million lives and another 4 million displaced. Estimates of war related deaths in Sudan are in the range of 4 million. The Rwandan civil war and 1994 genocide resulted in a million deaths out of a total population of approximately 7 million. The resource wars in the Democratic Republic of the Congo resulted in up to five million deaths. These wars in sub-Saharan Africa are never mentioned by the media. Many people in America do not know they even happened. More generally, the 2012 Mayan prophesy among other World events serves the useful purpose of distracting people’s attention from the most devastating crisis in word history characterised by endless war, environmental degradation and poverty triggered by macroeconomic reform. An Orwellian police state has emerged, with spying and eves-dropping implemented at a global level. Big Brother is instated at height of the electronic age, with sophisticated data banks and surveillance techniques, operating Worldwide. Habeas corpus has been repealed. Extrajudicial assassinations are now legal. The international community has endorsed preemptive nuclear war in the name of world peace. While one can conceptualize the loss of life and destruction resulting from present-day wars including Iraq and Afghanistan, it is impossible to fully comprehend the devastation which might result from a Third World War, using “new technologies” and advanced weapons, including nuclear weapons, until it occurs and becomes a reality. What we are witnessing at the outset of the 21st Century, however, is not an abrupt shift and fracture, but a gradual process of decay and social decline. What is at stake is the destruction of civilization as we know it, where progress is interrupted and the reproduction of human life is impaired. This process is marked by the implementation of a global military agenda coupled with a Worldwide economic depression. The overriding consensus is that people should support a Wordwide criminal project, involving illegal wars, the police State, the derogation of civil liberties and financial fraud, “in the name of democracy”. The consensus does not allow for dissent or debate. Its the American inquisition. Those opposed to this perverted brand of democracy are categorized as “terrorists”. Being opposed to criminality is a criminal offence. For this Orwellian New World Order to be sustained, realities must be turned upside down: the propaganda apparatus is predicated on instilling falsehoods in the minds of millions of people. Realities are distorted and turned upside down, the Lie becomes the Truth. The real global crisis affecting the people of this planet is thereby obfuscated by “fake crises” and catastrophes, not to mention warnings of impending “terrorist attacks” by unidentified “outside enemies”. The ultimate purpose of propaganda is to create confusion and obedience to a pre-determined political consensus. The objective is to distract and divert public attention from an understanding of the real crisis which is affecting humanity: The great depression and World War III are not front page news, yet the danger of a world war is real. Reversing the tide is tantamount to a revolution, it is the reversal of certain embedded tendencies in the capitalist World Order. The latter is characterized by the criminalization of both the financial system and the political apparatus. Bankers are rightfully involved in fraud and money laundering, Lockheed Martin, Raytheon et al. are vying for more wars, oil companies have their eyes riveted on conquering the Middle East: more than 60 percent of the World’s oil lies in Muslim lands. This downward spiral underlying this crisis is a gradual yet cumulative process. It can be reversed. The conditions for its reversal imply the dismantling of fundamental structures and institutions, repealing the police state, closing down the military industrial complex, revamping the financial system, scrapping economic austerity measures and restoring the standard of living of working people, putting an end to humanitarian killings, repealing racism and xenophobia. In essence, what is required at the outset is meaningful “Regime Change” in the USA, a massive overall in the political system as well as the financial architecture. A revolution involves first and foremost the dismantling of the propaganda apparatus, which means targeting the sources of media disinformation. Dismantling mainstream media disinformation is is a prerequisite to implementing more fundamental changes in the workings of the economic and social system, implying fundamental shifts in power relations. When the Lie becomes the Truth within an Orwellian police state environment, there is no going back, humanity is precipitated onto the path of self destruction. It is therefore crucial to fully comprehend the criminal nature of the New World Order, of its legal and political underpinnings, and the nature of the elite power structures which sustain it. To reverse the tide, war criminals in high office, must be targeted as an initial step. The weapons industry must eventually be closed down. The fraudulent financial mechanisms –including derivative trade and speculative instruments, the institutions, the legal apparatus, etc.– underlying the global capitalist economy must eventually also be dismantled. What is presented here are a few thoughts to initiate a broader debate. The complexities underlying the military agenda and global economic system must be addressed if we are to successfully reverse the tide. What is required is a mass movement of people which forcefully challenges the legitimacy of war and economic austerity, a global people’s movement which criminalizes war.